Once again Sony Pictures has graced us with another Spider Man film called The Amazing Spider-Man 2. This marks the second film in which Andrew Garfield portrays the famous web slinger and he doesn’t disappoint. Neither does Emma Stone, reprising her role as Gwen Stacy. We are also introduced to three new villains: Electro/Max Dillon (Jaime Foxx), Rhino (Paul Giamatti) and Green Goblin, aka Harry Osborn (Dane DeHaan), although the main villain here is Electro. Green Goblin and Rhino show up later in the film. The most pleasing thing about Garfield’s Spidey is that the actor brings to life the wisecracking, spirited web head found in Marvel comics. At times it seems as if Spider Man has jumped straight from the inked pages onto the silver screen. This is quite refreshing too, because a lot of the time when a sequel comes about, the main character has somehow changed between the first and second film-anyone remember the drastic change Peter Parker had made between Spider Man and Spider Man 2?-not the case in The Amazing Spider-Man 2. Any changes that Peter Parker/Spider Man go through happen over the course of the story in the sequel-and they’re doozies. Peter isn’t the only one going through changes in this film. The relationship between Gwen and Peter goes through its own metamorphosis as well. Max Dillon and Harry Osborn however, go through the most drastic changes, each becoming not only powerful super villains, but the embodiment of the psychosis they suffer from. Max, who only wants to be noticed and remembered instead of repelling everyone, becomes a creature whom attracts and absorbs all forms of electricity. Ironically the most repellent force of nature to humans. Harry Osborn, the son of Norman Osborn, who feels as though he’s been a throw away undeniably becomes one of the more repulsive villains from the Spider Man universe. Through this observation, it appears that the main theme in The Amazing Spider Man 2 is that life changes us. Whether it be everyday things like graduating from school, deciding which college to attend, choosing to pick up a new career to make ends meet, or an extreme physical change. Except that there are two themes in this story, the second being that of finding hope within oneself when life takes a turn for the worst and in finding that hope, also discovering the strength to continue on. 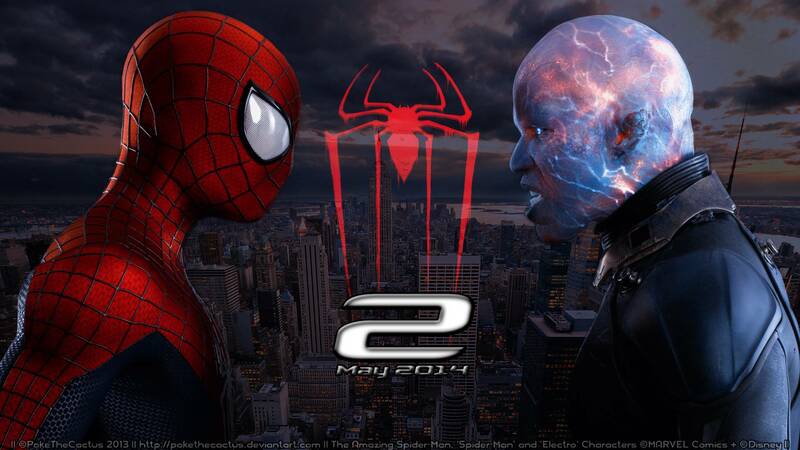 The Amazing Spider-Man 2 is full of thrills, laughs, intense and heartbreaking moments. It is also chock full of spectacular visual effects, explosive action and even romance. Of all the movies to kick off the summer blockbuster blitz-yes it begins in May-this Spidey fan is more than pleased that this is the movie to do so. If you’re looking for a treat for your senses, or just a huge fan of Spider-Man check this film out. At the very least, it will be fun. The Wolverine is Back Bub! 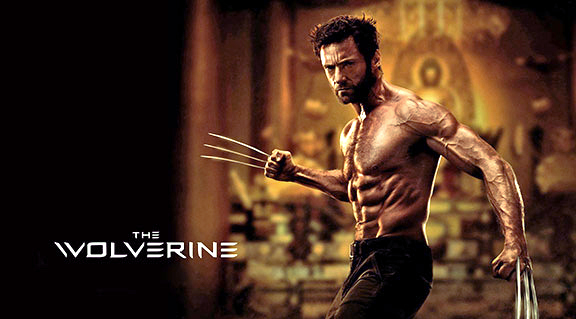 The Wolverine starring Hugh Jackman, is among one of the highly anticipated superhero films of the year. With this second stand alone Marvel film featuring the clawed mutant Wolverine, the filmmakers have an obstacle to overcome: the disappointing albeit successful X-Men Origins: Wolverine. Director James Mangold and Marvel do that by borrowing from Uncanny X-Men #172 published in 1983 where the X-Men battle baddies in Japan. Some of the similarities between the film and comic other than location, are the inclusion of the characters Mariko Yashida, Harada, Yukio and Viper. In the film Viper is a mutant and American. In the comic she appears to be some kind of assassin and is Japanese. Other roles are switched as well, but for the sake of not having any spoilers, we’ll leave out those details. It’s merely interesting to notice what Hollywood does to make something different from the source material while keeping the essence of it alive. In this “sequel” to X-Men: The Last Stand. Wolverine has exiled himself from The X-Men and retreated to Canada where he lives as a kind of mountain man and is haunted by Jean Grey’s spirit in his dreams. He is found by Yukio, a female Samurai with the ability to see people’s deaths, sent to invite Logan-Wolvie’s real name for those who are unaware-to Japan at the request of Yashida, a Japanese soldier whose life Wolverine saved during the bombing of Nagasaki and Mariko’s Grandfather; who is dying. Compelled to pay his respects and attempting to escape his past, Wolverine accompanies Yukio to Japan and meets the man he saved sixty-eight years ago. While there he uncovers a plan to kill Mariko and decides to become her protector. This is a task which tests Wolverine’s spirit and perseverance in unexpected ways, aiding him in rediscovering his reason for being the hero. One aspect of the film that is especially enjoyable, is the portrayal of Japanese customs and culture. Mangold ‘et al do this so well, that we are able to see Japanese culture through the eyes of the Japanese and for those familiar with the culture, it is a breath of fresh air because true Japanese culture tends to get reduced to Samurai philosophies in Western cinema. Marvel should be proud of The Wolverine because it does a superb job of restoring the iconic legend to his proper visceral, animalistic persona. Perhaps the only critique from this fan of films and Wolverine is that Adamantium is stronger than steel, even Japanese steel; unless we are supposed to assume that the Katanas in the film are made of the same metal as Wolverine’s claws. Otherwise, bravo, well done, splendid and all that! Also, be sure to stay after the credits for a treat that should get many an X-Men fan excited. This fan sure was! Most of us by now have seen how Tony Stark became Iron Man-at least Hollywood’s version of the origin-we have also seen Iron Man square off against the only other man in the world capable of creating the same technology as him (Iron Man 2). In Iron Man 3 we get to see a “stripped down” version of Iron Man. In other words, we get to see the “man behind the mask” as Tony Stark comes to terms with the fact that Iron Man is a super hero and the responsibilities that come with that. We see a Tony Stark who is unsure of his abilities and overwhelmed by his need to protect Pepper Potts after the events of The Avengers. Enter The Mandarin: A new foe hell bent on teaching The United States a number of lessons through ruthless terrorist acts meant to undermine the capabilities of the American government. Happy is injured while investigating a suspicious character that he spotted at Stark Enterprises . Tony learns that The Mandarin was somehow responsible for wounding his friend and threatens the terrorist. The Mandarin answers the challenge with explosive violence, separating Pepper from Tony. While trying to find the woman he loves, Tony investigates The Mandarin and discovers some startling facts concerning individuals from his own past before he became Iron Man, or even created the arc reactor. Ultimately, Tony Stark learns that the traits and abilities he has are what make it possible for him to be Iron Man. Easily one of this years most anticipated movies, The Avengers has already broken box-office records by earning over $200 million in just the first weekend. It really is not so surprising when you think about it. The film has Thor, The Hulk, Iron Man and Captain America. All four are characters from the last few years of summer box office hits. The most recent being Thor, Captain America and Iron Man 2. Add in highly advanced secret government organization–S.H.E.I.L.D–and a power hungry demigod set on ruling the world, it all amounts to an epic superhero movie. Summarily, Asgardian Loki (Tom Hiddelston) is in search of the Tesseract also known as the cosmic cube, which has the power to open a bridge between worlds. He intends to use this power to bring an army from another planet in hopes to subjugate the people of Earth. The Tesseract is the same cube that The Red Skull used to power Hydra’s weapon in Captain America. As an act of desperation, Nick Fury decides to put “The Avengers initiative” back into action and recruits Bruce Banner (The Hulk), Tony Stark (Iron Man) and Steve Rogers (Captain America) to join S.H.E.I.L.D agent Natasha Romanoff (Black Widow) in an effort to recover the Tesseract from Loki. Thor and Agent Clint Barton (Hawkeye) join of their own volition. Once the team is put together, they find that Loki’s plans are not the only threat the heroes must deal with. Each of the heroes are loners in their own respect and used to doing things in a certain way without having to consult with anyone else, thus they must learn to work together if they are to have any hope of bringing down a fanatical Loki and his insurmountable horde of alien assailants. Oh the incredible things that happen when the heroes finally work as a team! Pack a wallop indeed! Perhaps that is an understatement, but the action is certainly epic. However, the epic nature of the film is not solely due to the unification of seven of Marvel’s greatest heroes, but the unwavering portrayal of the characters by Robert Downey Jr, Chris Hemsworth, Chris Evans, Mark Ruffalo; Jeremy Renner, Scarlet Johannson and Samuel L. Jackson who fill their shoes and the skilled collaboration of action, humor and drama within the story. It is in the dedication of Director Joss Whedon and the crew behind him to bring the fans a film they will love. They certainly succeeded. The Avengers is entertaining in every way. It has been a while since this movie goer has heard the entire audience cheer and laugh together. With certainty that will be the experience of any who goes to see this film.